Today was Critter Spa Day at the farm. 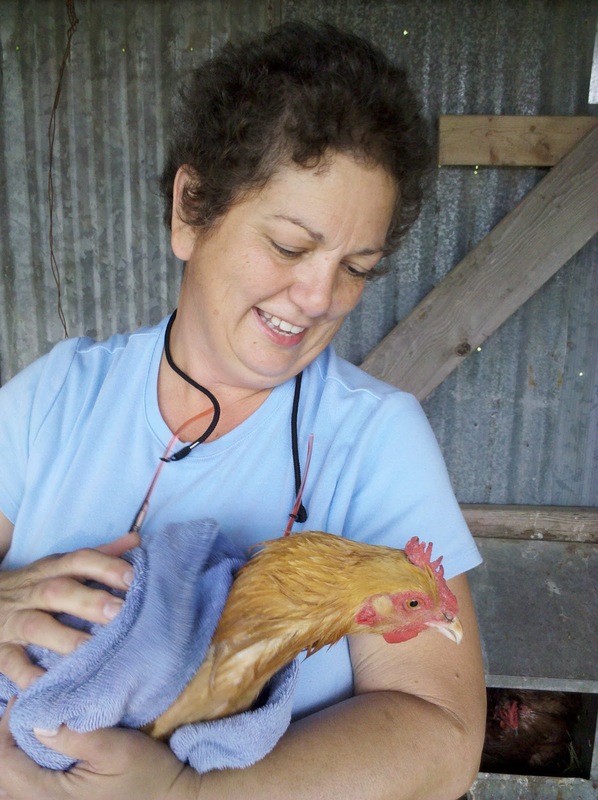 Gail spent the morning with me bathing the chickens who had poopy butts and the beginnings of mite issues. Best to nip it early and keep the ladies healthy. Unfortunately for some of them, that meant a full-on bath. I guess I don't need to explain to you that chickens don't really like being wet up to their necks. So you can imagine the ruffled feathers, and the full incarnation of the term "mad as a wet hen." We made no friends today. 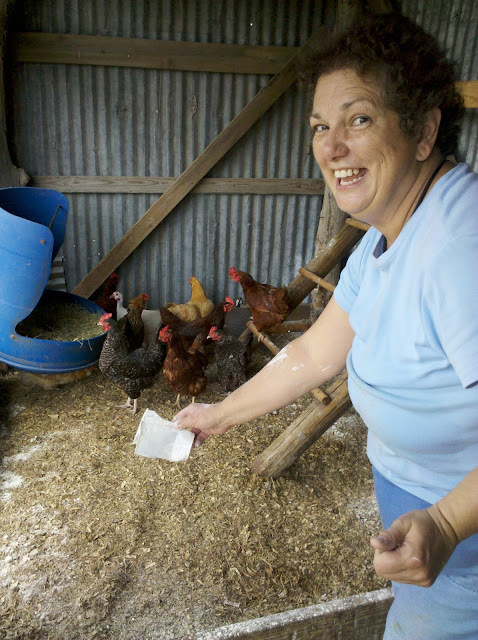 Then, of course, it doesn't do any good to scrub the chickens without also scrubbing the coop. That's where the nasty bugs live that can make our chickens miserable. 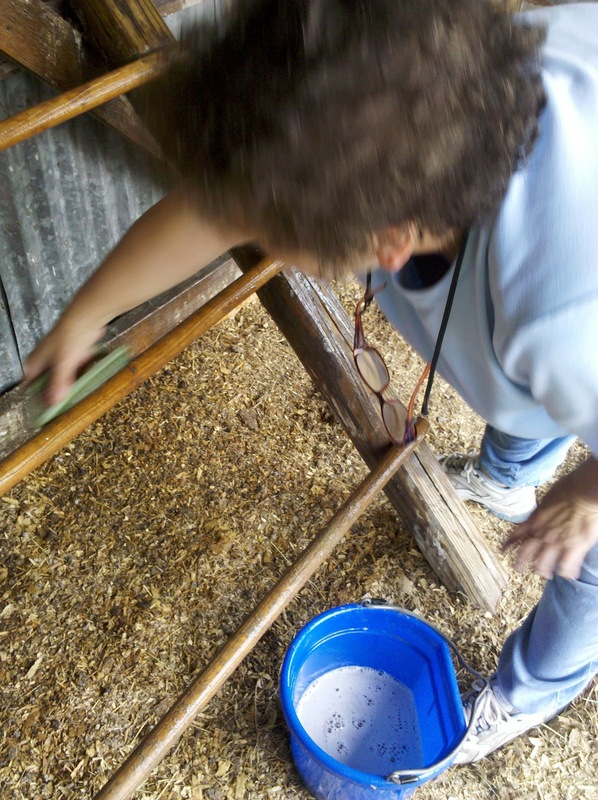 We scrubbed down all the wooden surfaces with a light bleach water, raked out most of the old bedding, and dusted the place with DE. DE, or diatomacious earth, will keep the bug population down, and will help keep the girls safe from parasites. Fresh shavings will go down over the DE and will get another sprinkle on top. As you can see, we were getting a little punchy by the end of this process. Miss Ruthie, now assigned to the alpaca pasture, also got a lot of attention. We trimmed her nails, trimmed the matts in her tail and britches, and raked out undercoat by the pound. 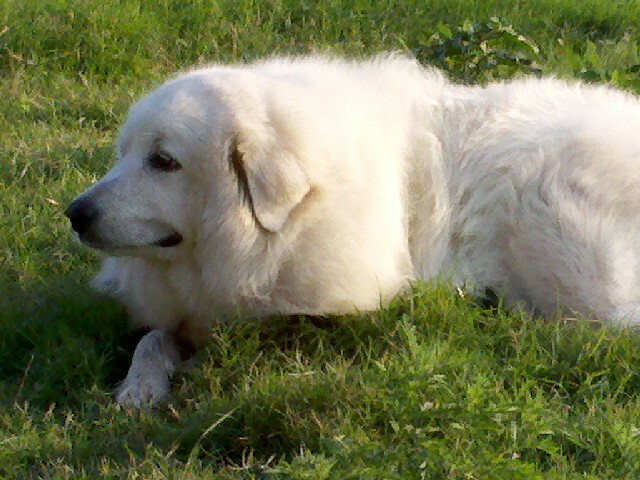 She was the perfect spa client - dozing on her side while we worked, hardly lifting her eyelids except when she heard the other dogs bark across the property. Tomorrow, I have to get her to lay down on the other side so that I can finish the job. And by finish, I mean, finish until next week when I could spend another two hours raking out undercoat. She is one fluffy puppy. I have to keep her cool, and I'd rather not shave her if I can avoid it. I need to thank my friend Dina for coming over this afternoon to help me work on the big Barn Sale coming up Saturday. 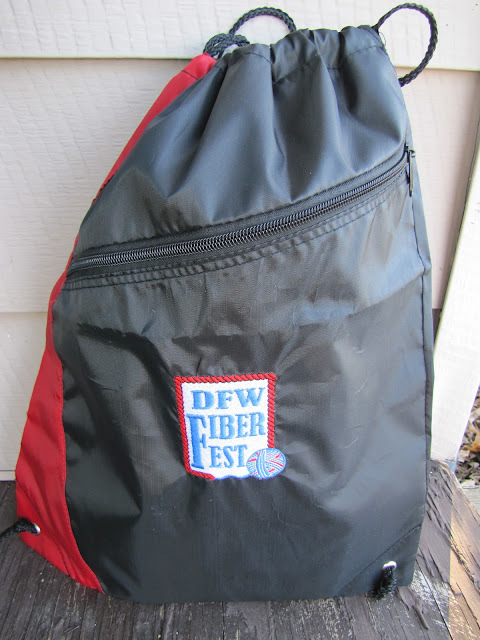 Dina helped me stay on track, bagging yarn, marking bags, sorting and pricing books, etc. (No photos - terribly top secret, you know.) I really appreciated her company today, and her friendly nudges when I found myself hopelessly distracted by the fibery landscape. Thank you, Dina! Good stuff to be had on Saturday, 10 AM, here at the farm. Hope you can come by! Hooray for Gail, Dina, and Cindy!!! Takin' care of business at the Farm. Sounds like you could knit a sweater out of Miss Ruthie fur, too. 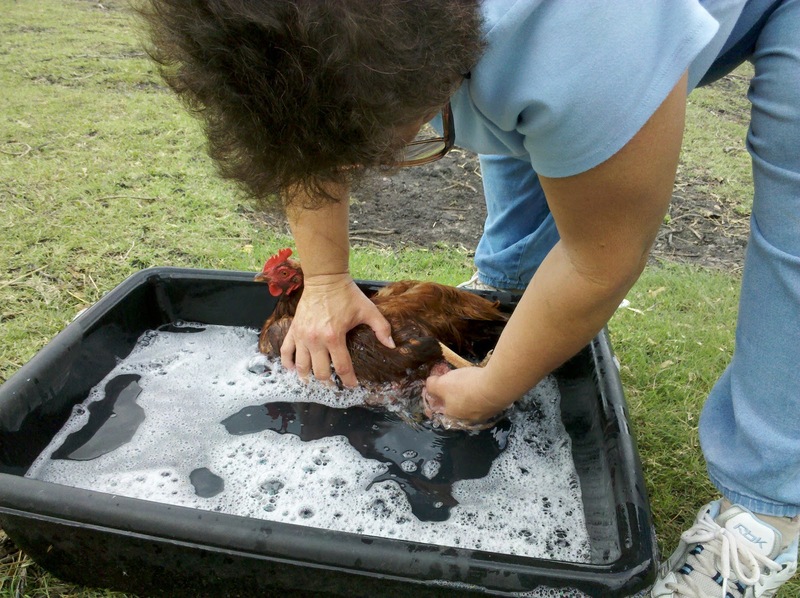 :D I will remember to never try and give a chicken a bath - without lots of help. Great story!